In early January I used a Top 5 Wednesday writing prompt to share my 2017 goals. While some relate to the blog, others were for my personal life. Let’s see show I did! My updates will be in bold. 1) I need to get my sh*t together on posting! I’m always typing away on the day the post is due, I never have any in queue like Kathleen does! Usually I worked ahead of time on my alternating Wednesday posts, but my Friday posts were another matter. Friday is my day off, so I would block some time out in the morning to get it done, but often my Fridays fill up with a dozen other commitments, so I wouldn’t have the time I thought I would after all. But…my grad classes are ending, so I truly will have more time soon. 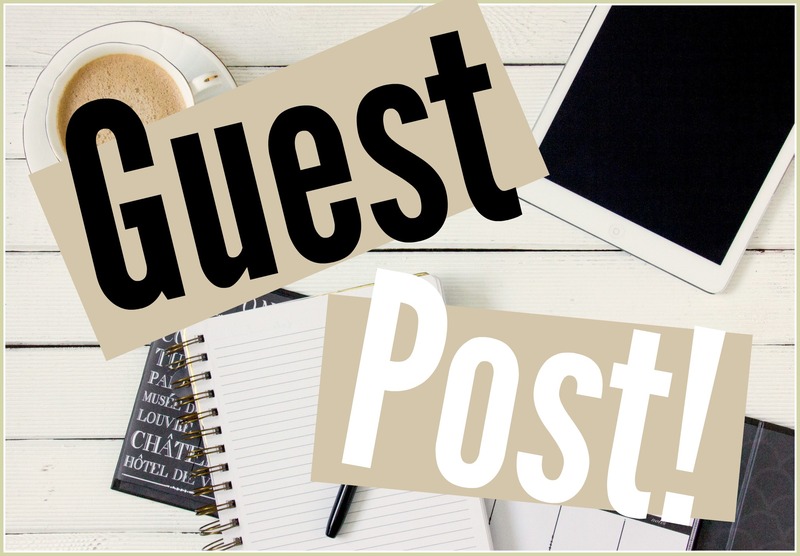 2) Write more guest posts! I reviewed two books, Ink and Bone vs The Alex Crow, for the 2016 Tournament of Books through my Young Adult Services Forum committee that I belong to and reviewed Eleanor & Park for The Green Onion in November (2016). Plus, I have one half written for Just Dread-full, for I enjoy the challenge on writing on other subjects than just graphic novels and geek life. I managed this! I finished my post for Kalie’s blog, Just Dread-full about My First Fright, reviewed YA books Ghosts vs The Star Touched Queen for the 2017 Tournament of Books, shared my feelings about the movie Logan on Michael’s My Comic Relief site and schooled Rob on My Side of the Laundry Room on awesome 80’s toys for girls. 3) Hike more! My husband and I completed the 52 Hike Challenge last summer, and after a year of consistent hiking we fell out of the habit. Some of it can be attributed to raising three fabulous kids, work and grad school, but…. Cliff & I did hike more consistently. Not every week as we had during our challenge, but an improvement. As stated above, I will have more time since I will be done with school!! 4) I like to take pictures of the outdoors, so I’d like to build my Instagram account with my nature pictures. I can take more pictures, IF I hike more! If you care to take a look at the less geeky part of my life, my account is nancyandnature. Success! I enjoy taking pictures and was followed by some nature and tourism sites, and had several pictures picked through out the year to be featured on the sites Only in Illinois, Midwest Snaps and Illinois Shots. All in all, I met most of my goals, and feel proud of myself. I’m thrilled that I am graduating from Dominican University this month, and am hoping that brings some new career opportunities my way. In a few weeks, I hope to share my 2018 goals, so be on the lookout for those! This arc is called “The Great Fables Crossover” because it crosses over with Jack’s spin-off comic. This one didn’t do much for me. Mostly, I was confused on the characters outside of Fabletown. The Literals are many, and they weren’t well-introduced. They finally gave a cast of characters spread in part 8 – of 9. By that time I was almost through and didn’t bother going back to see who had said what or done what. Besides, just like Nancy said in her review of Jack of the Fables, Jack really is a huge jerk! Willingham, Bill, Matthew Sturges, Mark Buckingham, Russ Braun, Tony Akins, Jim Fern, and Craig Hamilton. Fables (The Deluxe Edition): Book Ten. 2015. I had a really nice post scheduled for today, but I had to reschedule it when I saw this prompt. I laughed pretty hard. Grade A Grinch right here. I hate the holidays. I hate the stress of gift-giving, I hate that we spend a literal entire day baking every year, I hate that my mom has 17 boxes of decorations that ALL have to get put up EVERY YEAR, and most of all, I hate how materialistic it all is. My reading time is severely limited. I have two part-time jobs, art commissions to keep up with, and now a wedding to plan. I don’t have time to waste on boring books! I used to stick ’em out, but I don’t have the patience anymore. My new rule is, if it doesn’t grab me within 3 chapters, I’m done! This goes hand in hand with the first one. I actually don’t mind slow-moving novels. It’s when graphic novels are slower paced that I start chomping at the bit. This is probably because I’m so used to reading superhero comics that, by nature, are fast-paced. Slow-moving graphic novels seems like an oxymoron to me! I hate guessing how the plot is going to go, then being right. Some plots you see over and over and over again. Shake it up, people!!! Like… did you even try??? You know what I mean. Those authors who put out 3 books every year and whose names take up half the cover. I read one Danielle Steele novel and that was more than enough for me. Call me a hipster, but I hate reading what everyone else reads!!! So there you have it! A gloriously Grinchy post =P What are you a Grinch about? When I heard of the graphic novel Secret Path drawn by one of my favorite artist’s, Jeff Lemire, I knew I wanted to read it, not understanding that it was so much more than a book. Secret Path is a ten song concept album written by Gord Downie paired with a graphic novel that tells the story of Chanie Wenjack. Chanie was a twelve year-old Anishinaabe boy who died in 1966, trying to escape from the Cecilia Jeffrey Indian Residential School in Ontario, Canada. Chanie, often called Charlie, was trying to walk approximately 400 miles home by following the Canadian National Railway but perished of hunger and exposure. Lemire’s interpretation of Chanie’s last journey is wordless, but with lyrics of Downie’s songs alongside the pictures. The residential school and Canadian wilderness are shown starkly with white, grey, black and blue colors representing his loneliness and isolation. Only when Chanie is thinking of his family are his memories shown in contrasting warm hued colors. This is similar in how Lemire told another story about a First Nation’s family in his recent book, Roughneck. Lemire also effectively frames Chanie’s sad memories of the school in an off-kilter method that keeps the adults heads out of the panels and draws his trademark black bird as part of the imagery. While the graphic novel is excellent, it should be read in tandem to listening to the ten songs that were written by Downie before he even contacted Lemire to illustrate the accompanying book. Afterwards watch the video that combines the graphics and music into a haunting montage. Sadly, Downie died in October, but his music and the Gord Downie and Chanie Wenjack Fund will be a lasting legacy. While this tragic story highlights one individual, Chanie truly represents the hundreds of thousands of native children that the Canadian government took from their homes and sent to residential schools. Canada doesn’t stand alone on trying to eradicate native culture, the United States government did the same to native families- ripping family and cultural connections from them and trying to get them to assimilate into what government and religious officials felt was appropriate. Kudos to Downie and Lemire for bringing attention to this shameful part of Canada’s (and America’s) history, for only through a truthful reflection can positive change and reconciliation be established. Downie, Gord & Jeff Lemire. Secret Path. 2016.